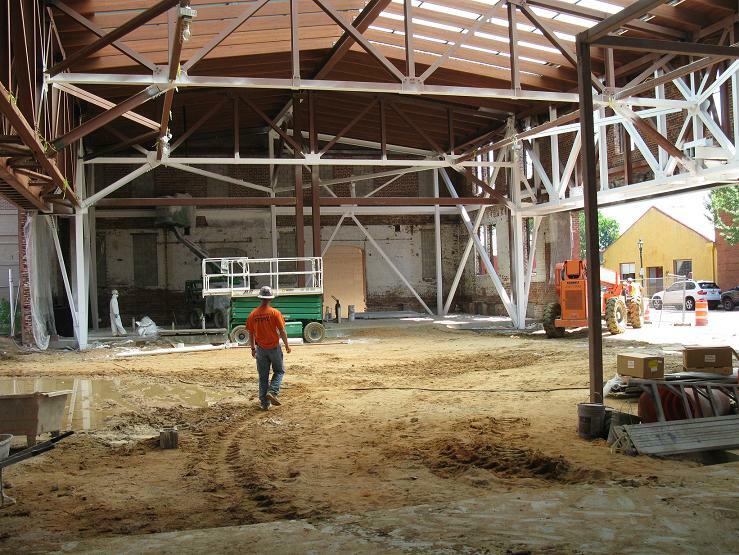 The photo above shows the floor of the Harrison Building, the old brick building shell preserved as an entrance to the Tee Center. This picture was taken on June 7, 2012 during a Tee Center hardhat tour by Convention and Visitor’s Bureau chief Barry White and Heery International’s Jacques Ware. Heery is the program manager for the City of Augusta’s hundreds of millions of dollars in sales tax funded building project and Jacques Ware is the Heery project manager over the Tee Center. Below is a photo of the Tee Center Exhibition Hall, the enormous 38,000 square foot open room that is to house the trade shows and various Tee Center exhibitions. At the time of the tour, the CVB folks excitedly made the point that the floor was going to be poured the next week. This was on June 7. How can this be? 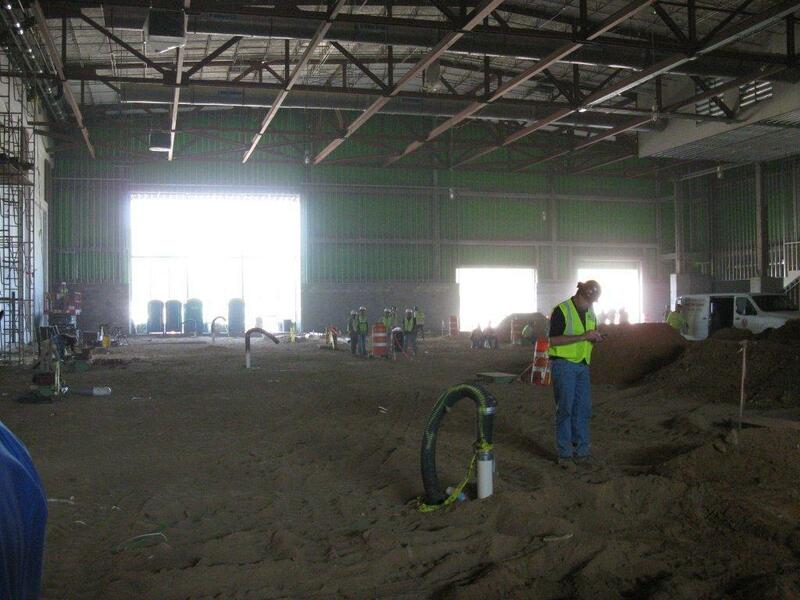 The main exhibit hall room is a staggeringly large percentage of the total concrete slabs on the project. How can 84% of the slabs and walls have been complete back in March when the main floor was still dirt? Isn’t Augusta put at risk, when subcontractors are paid so far in advance of the work performed? Isn’t the previously noted issue of $1.4 million of kitchen equipment that was paid for a nonexistent kitchen proof that Heery is just rubber stamping contract payments? Let me see now. The commission relies on Fred Russell, who relies on Heery, who apparently sees construction completed that just isn’t there. Tagged Augusta Politics, Investigative Reports, Lori Davis, TEE Center. « Augusta Being ‘Swept’ for $67,260?